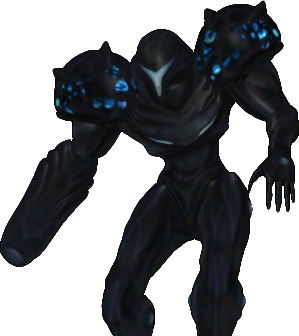 This is Crony's Dark Samus import from Metroid Prime 2: Echoes with blended texture's to decrease the sharpness and pixelated effect to make it resemble Dark Samus' MP2 in game appearance better. 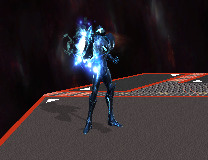 I also added a reflection shader to resemble light reflecting off metallic armor. 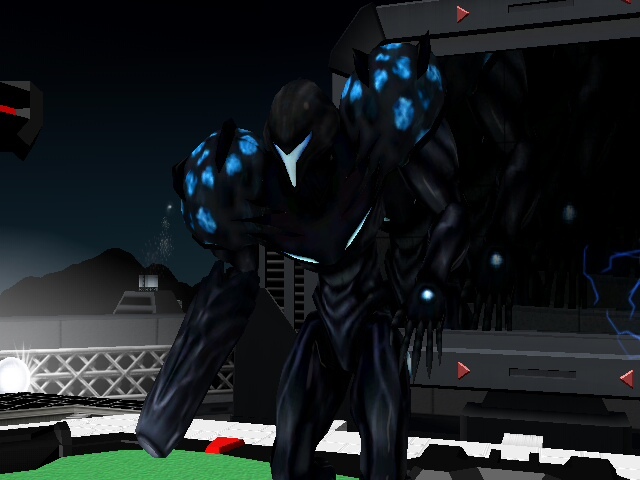 The third picture is a render straight from Echoes. 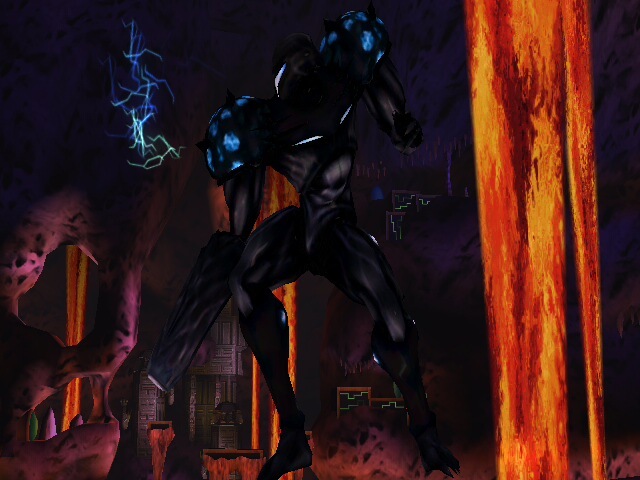 Hopefully this version is closer to the true Dark Samus.